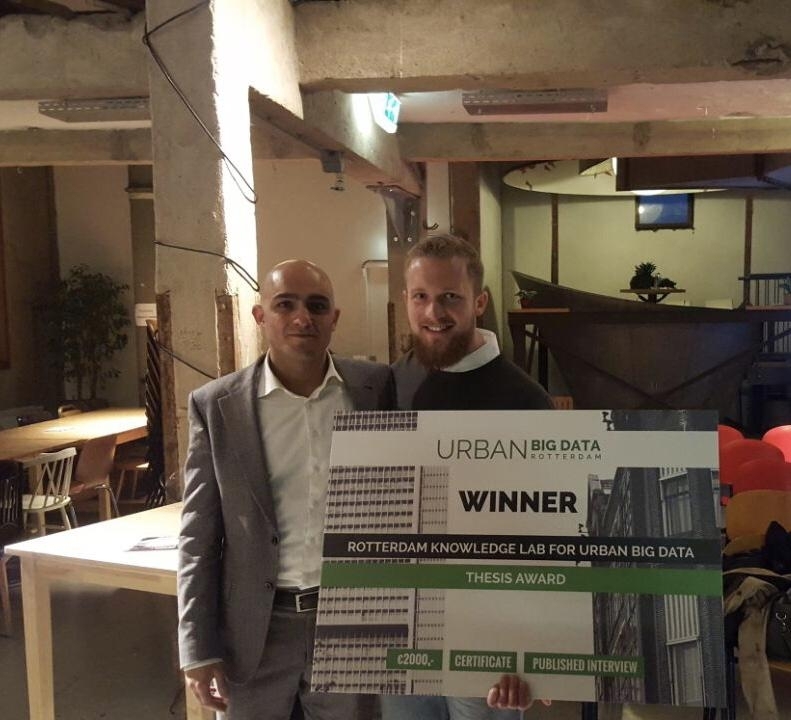 The Urban Big Data Knowledge Lab aims to promote knowledge about and development of urban big data policies. 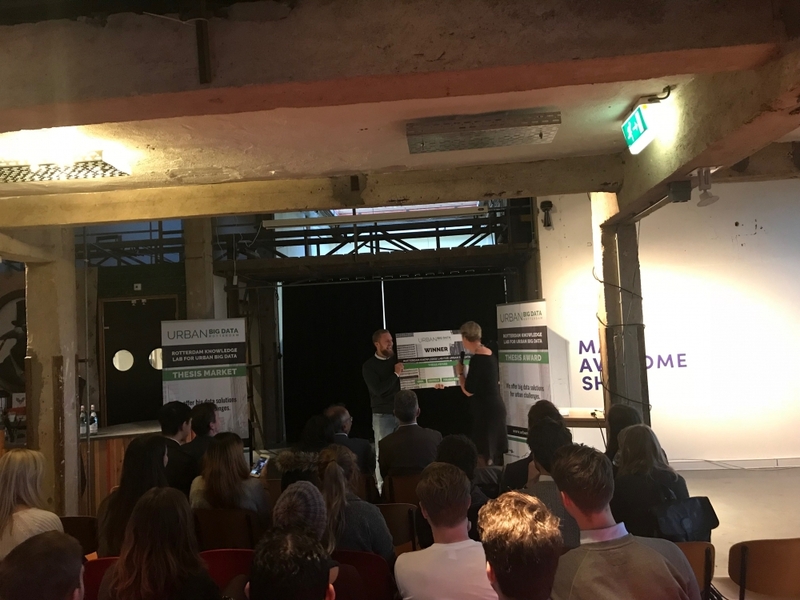 To this purpose, it yearly awards a prize for the best thesis on the subject by Master students from Erasmus University Rotterdam and Bachelor Students from Rotterdam University of Applied Sciences. The winner receives €2.000, a certificate, and a published interview about his or her thesis. A jury with Sunil Choenni (Lector Human-Centred ICT, Rotterdam University of Applied Sciences), Ina Sjerps (General Director, Municipality of Rotterdam), Mark Vermeer (Director of Innovation, Information, Facilities, and Research, Municipality of Rotterdam) and Liesbet van Zoonen (Professor of Sociology, Erasmus Universiteit) was impressed by all the theses. Based on criteria such as originality, practical relevance and methodological rigor the thesis by Jonathan von Rueden was selected as the winner. Congratulations, Jonathan! Please find here an interview with the winner. See the video and some pictures below for an impression of the thesis award and thesis market.